Serious about learning guitar blues? This article helps you master an essential blues guitar scale! 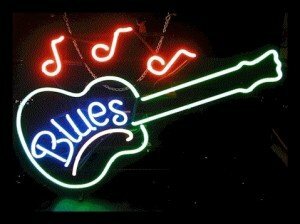 Many online courses provide blues music for piano or other instruments and its not the same as learning guitar blues. This is one of my favorite sounding guitar scales! To my ears, it has a very bright, open and happy sound to it. Some of my students have commented that its sound reminds them of country guitar. (But let’s not hold that against it! You can also use it to great effect in blues guitar solos). These are the notes of the C major pentatonic scale. Pretty easy huh? 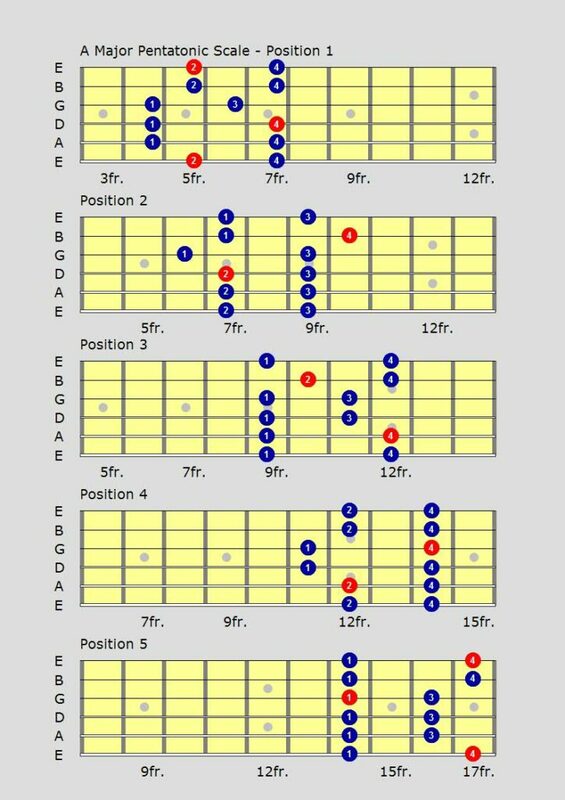 Map the notes of the C major pentatonic scale onto a fretboard diagram. Make up some fingerings for it on your guitar. There are no real rules. As long as you stick to the notes C D E G and A, you are playing the C major pentatonic scale. Make up some licks that use the C major pentatonic scale. Practice soloing over some blues backing tracks using the scale. Work out the licks and solos of your favorite blues guitar players. The possibilities are endless! The more ways you apply the major pentatonic scale to your guitar the better. Be creative, work hard, and most importantly…have fun!